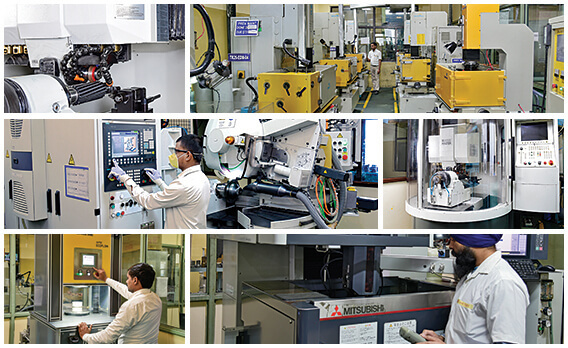 The manufacturing setup of Shivam Autotech is a fine blend of advanced management techniques, ultramodern machinery and quality control procedures. The company undertakes Cold, Hot and Warm forging operations for varied product demands. For customized cold forming jobs, the company has sourced the latest technology-based 5 station high speed cold part former from Nedschroef, Belgium. This avant-garde machinery renders the capacity to manufacture 20mm to 220mm long parts at a rate of 100 SPM with significant cost & production time savings as well as high quality precision manufacturing. This machine is capable of producing various splined shafts used in transmission and steering segment of Auto Industry. Hot forming, on the other hand, is done using 3 stations Hatebur automatic hot former with high part output up to 125 parts per minute. 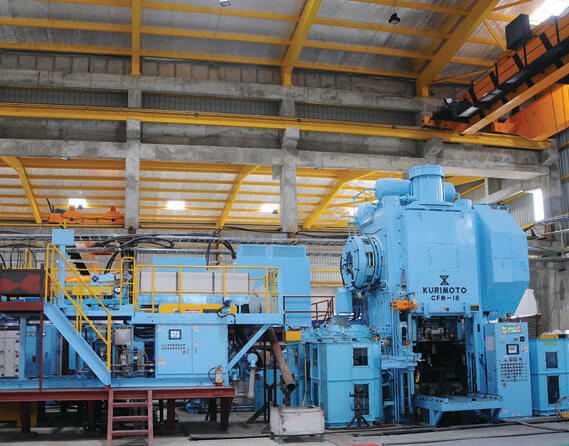 In addition, we have installed a 3-station fully automated 1600 T hot/warm Forging Press from Kurimoto, Japan. This highly sophisticated and automated line is capable of producing various hot and warm forging components at a productivity of 20 parts per minute. 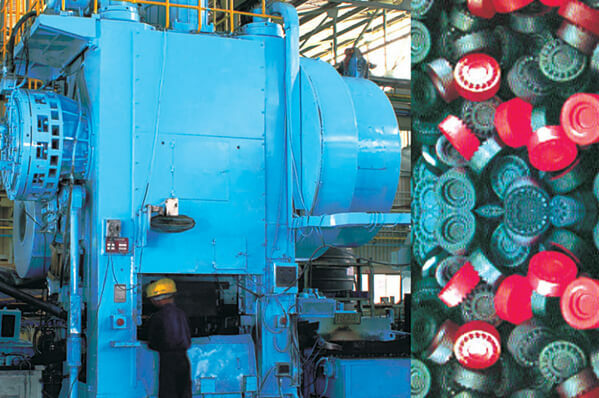 It is backed by provisions like auto- transfer, auto- lubrication, quick die changer etc. Warm Forging is a new technology that combines the advantages of both Cold and Hot Forming. The company has installed three station automated warm forging presses from Chin Fong with an output up to 25 Parts per Minute. In comparison to hot forging, it provides the advantages like near net shape part, better grain structure, better surface quality, reduced energy cost and greater accuracy. Besides this, the forging setup comprises automatic pressing lines for hot forging, cold forging and warm forging. The presses include Mechanical presses of capacity ranging from 100 tons to 1600 tons, Knuckle joint presses, Hydraulic presses and Screw presses. Optimal product quality and finish is ensured in the machining section which is equipped with state-of-the-art machinery. It comprises CNC Turning Centers from Mazak, Japan, VMC- Brother, Japan, along with other Special Purpose machines. Shivam Autotech Limited is a trusted manufacturer of international quality transmission gears for the automotive industry. The gears manufacturing division is equipped with latest technology facilities like CNC Gear Shaping machines from Leibherr, Germany, CNC Gear Hobbing and Gear Shaving machines from Mitsubishi, Japan, and honing machines from USA. The company has also installed Gear Grinding machine for finishing higher range of transmission gears. These help to maintain precise gear contours, dimensional uniformity, excellent surface finish, reduced gear noise and increase in load carrying capacities. Product profiles and consistency in quality, product strength & performance is maintained through an in-house heat treatment setup which has the facilities for continuous hardening and tempering, normalizing, case carburizing, sealed quenching, and various other heat treatment processes. 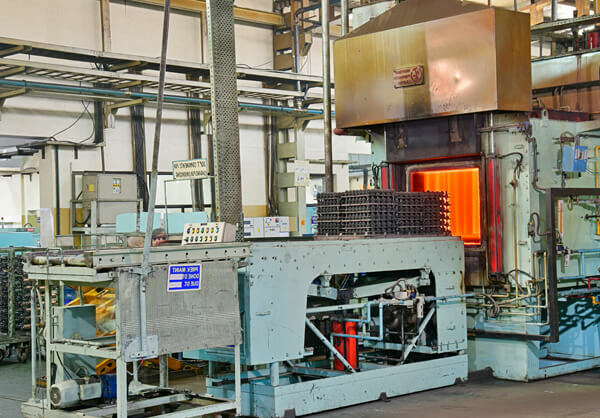 The heat treatment shop is equipped with Sealed Quenched Furnaces (both oil and salt), Iso-thermal and continuous annealing furnaces, hardening and tempering furnaces, induction hardening & induction annealing machines. This helps to maintain uniform metal properties and manufacture precision products as per customer requirements. A well-equipped tool room deployed with advanced tooling machines backs up the production requirements. It is laid with Gleason CNC Shaving Cutter Grinder, Walter make CNC Tool & Cutter Grinder and various ultra-modern manufacturing techniques like EDM, ECM and Wire Cutting etc.